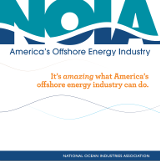 OCSLA requires the Secretary of the Interior to establish 5-year leasing plans and schedule lease auctions for offshore areas. All areas, unless prohibited by law or moratorium, are available for consideration to be included in a plan. Preparing and finalizing the 5-year plan typically takes 24-36 months. Area is identified, environmental impacts analyzed, public comments gathered and states consulted. Planning for individual lease sales typically takes 6-12 months. Lease is awarded to highest qualified bidder and terms are based on the amount of time a company would be expected to develop the lease: 5 years for shallow water, 8 years for deepwater, and 10 years for ultra-deepwater. After a qualified company has been awarded a lease through the bidding process, a few years of analytical work are necessary before submitting an exploration plan (EP) to the federal government. The EP is subject to extensive environmental review and is usually approved within a year. Companies then conduct additional geophysical work and contract for necessary equipment, which can take a few more years, before beginning exploratory drilling. If commercial quantities of oil and/or natural gas are discovered, development and production plans are submitted following additional analysis. Development plan approval is subject to extensive environmental review by the federal government. Production platforms can’t begin moving into place until the development and production plans are approved and all appropriate permits received. This phase of the process typically takes several years.Throughout the plan approval process industry applies for at least 15 major permits and meets more than 90 federal regulations.